Daryl Johnson (Worcester Park, United Kingdom) on 2 August 2010 in Architecture and Portfolio. 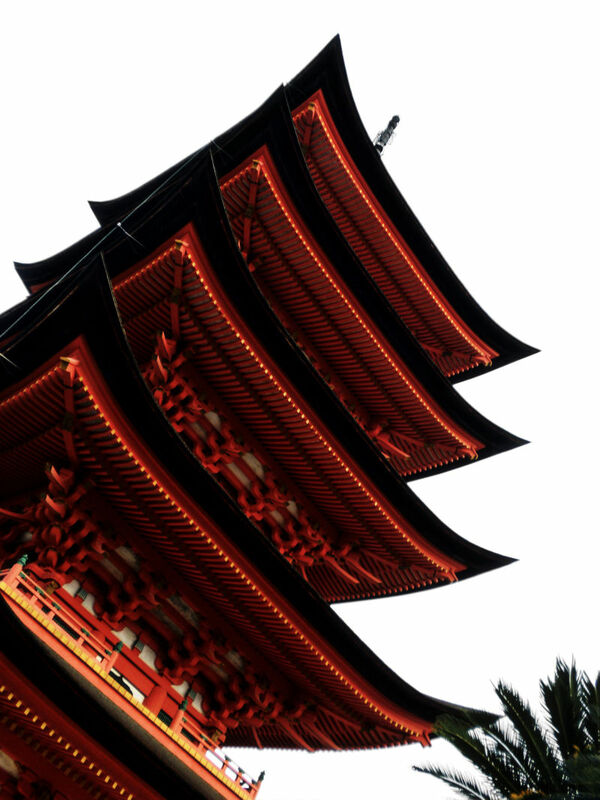 This 5-storied pagoda stands next to the Senjokaku hall. Well done, these pagodas are surprisingly difficult to photograph, I found! I LOVE the angle!!! You put the undereves on show beautifully! Another great angle. Colours and shapes are superb! Wow ! Gorgeous ! Great angle ! a great angle and lovely colors, just to make a great shot!! You got the angle on this one! Super shot! Stunning lines and those glimmering ends look like lights ! Very cool angle and colors. That red really pops. Congrats.